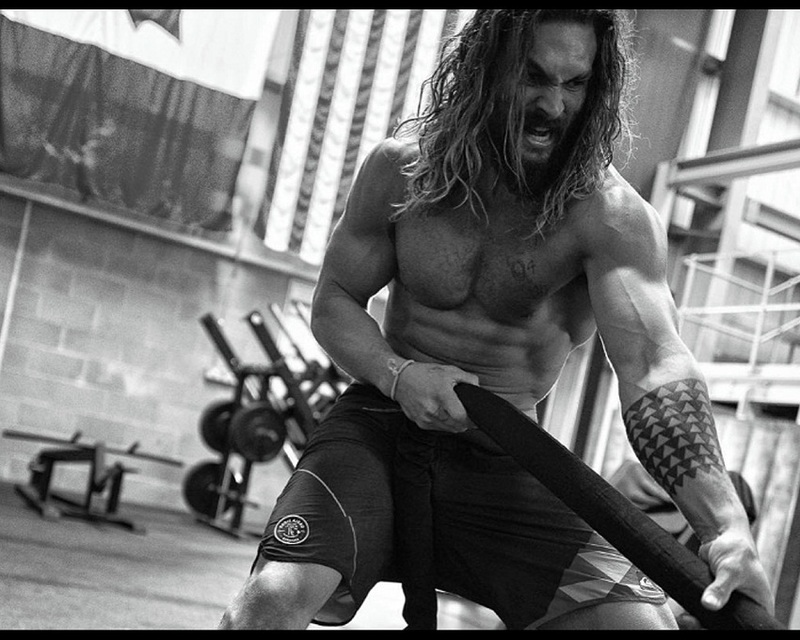 Joseph Jason Namakaeha Momoa, known for playing the role of Aquaman in the Batman v Superman: Dawn of Justice (2016), Justice League (2017), and Aquaman (2018), is a man with undeniably imposing superhero physique. Although he has been genetically gifted, he had to pack on some muscle mass (about 25 lbs) rapidly to do these iconic roles justice. 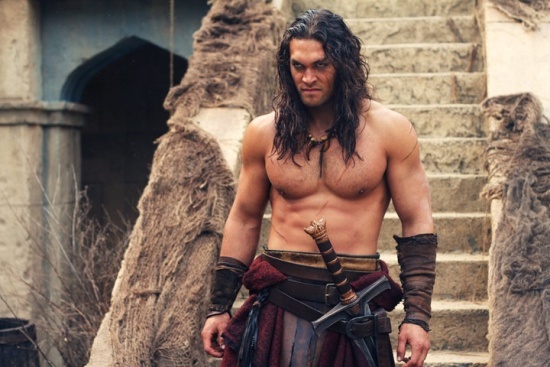 In a recent interview, Momoa talked about his training regimen and diet plan that helped him earn his shredded body. 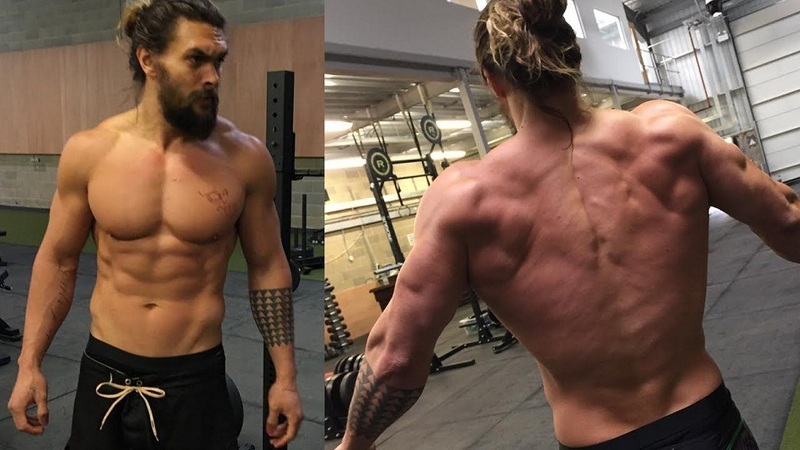 In order to get into shape, Momoa took help from Mark Twight who programmed his training regime with a mix of whole-body movements and isolation exercises combined with drop sets. Twight worked around the actor’s social schedule and altered his weight training routine to fit in climbing drills at the indoor rock gym twice or thrice a week. 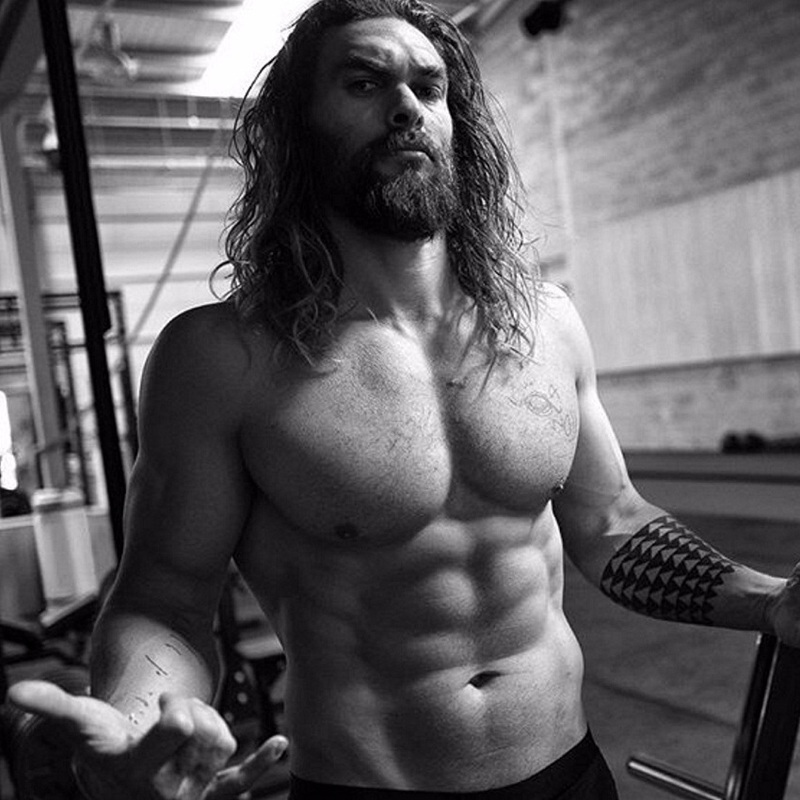 Momoa likes to exercise outdoors early in the morning which may include boxing, surfing, swimming, hill sprinting, climbing, or skateboarding that helps him start his day off positively. He gets bored easily while training with weights and so does skateboarding, hill sprinting, climbing, and other activities to combat boredom. He has also gone by a workout routine, called Accelerated Results 7 or AR7, developed by his trainer Eric Laciste to get into the shape of Conan the Barbarian. It involves 30 minutes of high-rep sessions utilizing low weight with low rest. 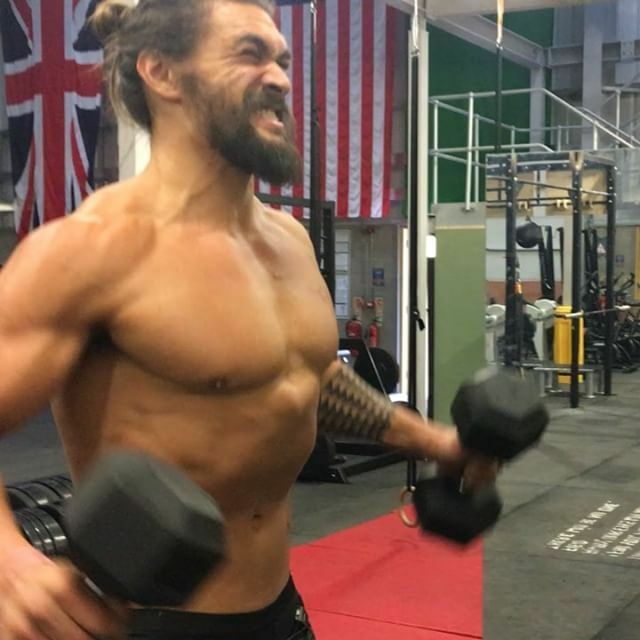 Momoa started out doing one workout each day, and after getting used to it, he performed two to three workouts per day. Here is a sample Aquaman workout that involves one session of exercises targeting your chest and another engaging your lower body. Perform each of the workout sessions on a separate day. For each drop set, perform 6 reps with a heavier weight, lower the weight to do 12 reps, and lower the weight again to perform 18 reps. Rest for about one minute in between sets. Perform each of the movements back-to-back, resting 2 to 3 minutes between each set and adding a plate to the pushing sled for each round. Each of the following workouts is performed for 3 rounds with one or two minutes rest between each of them. The first round includes 7 sets with 7 reps and 7 seconds of rest, while the second has 6 sets with 6 reps and 6 seconds of rest, and the third has 5 sets with 5 reps and 5 seconds of rest in between each exercise. Momoa has admitted that he loves Guinness. He balances it with healthy foods including green veggies and lean meat thereby denying his body of high carbs while saving the calories for beer. His training regimen requires him to have a protein-intensive diet, consisting of 8 boiled chicken breasts per day. In order to gain energy, Momoa adds peanut butter to his diet. Do not just lock yourself into an organized training routine. Experiment with varied activities to give yourself a complete sense of fitness and well-being. Make sure to keep your heart healthy by running, swimming, hiking, or practicing yoga, 30-45 minutes each day in the morning. Stay in shape not just by following a high-intensity training routine but also eating a clean diet.